Liz Mierendorf creatively treats pain and injuries by blending her previous experience as an athletic trainer and acupuncturist to help clients maintain a healthy, pain-free lifestyle. She encourages clients and enjoys watching them once again become enthusiastic about activities after healing. She is proactive, inquisitive and likes learning something new every day. Liz Mierendorf offers the best of both worlds and merges traditional Chinese medicine with her western-influenced background. She effectively treats conditions such as fibromyalgia and sciatica when western medicine offers very few options. She has developed an effective system that uses acupuncture and herbal medicine combined with rehabilitative exercise and bodywork such as TuiNa, soft tissue mobilization, muscle energy and proprioceptive neuromuscular facilitation (PNF). Her techniques work very well for athletes who experience injuries or soreness as a result of sports and other physical activity as well as people struggling with chronic pain. Liz Mierendorf is the only Certified Acupuncturist in the Madison area with a western sports medicine background, which enables her to combine bodywork with acupuncture for highly effective treatments. Her treatments integrate well with chiropractic care as well as physical, occupational and massage therapies and she refers clients to these modalities as needed. Liz’s training as an athletic trainer enables her to motivate clients and help them reach their health-care goals. Liz, a Madison native, received her Bachelor of Science in Kinesiology-Athletic Training from UW- Madison in 2007 and studied acupuncture and herbal medicine at the New England School of Acupuncture in Boston, MA graduating in 2011 with her Master of Acupuncture and Oriental Medicine degree (MAOM). Liz is nationally board certified in acupuncture and herbal medicine by the National Certification Commission for Acupuncture and Oriental Medicine (NCCAOM). She is also a Certified Athletic Trainer by the National Athletic Training Association Board of Certification (NATABOC). 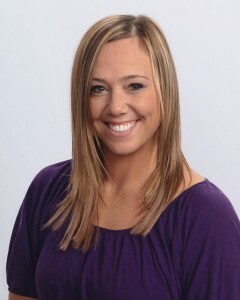 Liz joined Isthmus Wellness, LLC in 2011 as an independent contractor to focus on pain management. Click here to read Liz’s testimonials.